Known as "The Statute of Limitations", this legal rule is not well known among people who have been seriously injured. The statute of limitations is the amount of time you are allowed within your state in which you can file an injury claim. Different injuries have different time limits. Each state has their own time limits as well. 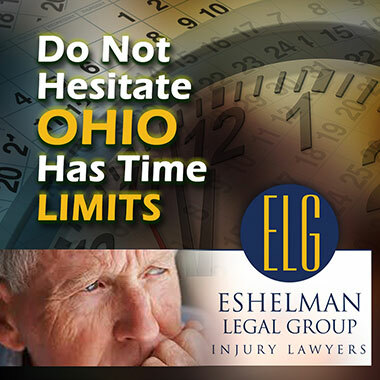 To find the exact statute of limitations for your specific situation, call the Eshelman Legal Group @ 1-800-365-0001. Your initial consultation is free and you do not pay unless we win your case. When a person is in a serious injury, time can go by very quickly. Your whole world can be turned upside down. Suddenly you rely more on the help of others. Ask yourself these questions. Who will take you to the doctors office or hospital. Who will help with the chores. Will you be able to continue working. How will you pay your bills. Who is going to shop for groceries. Suddenly you are overwhelmed with a sudden change in your lifestyle. You need the help of more people just to get by each day. The stress levels increase and more time goes by. 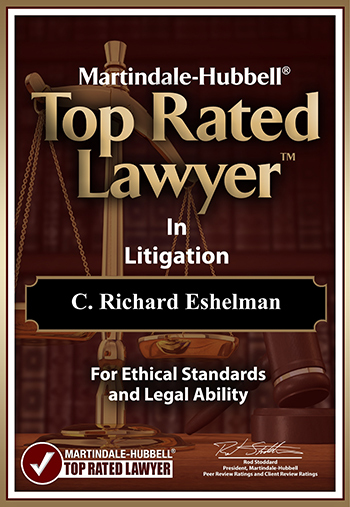 Get the experienced and respected personal injury lawyers of the Eshelman Legal Group to guide and fight for you in your hour of need. You admit you are not an expert in injury law. You do not know the ways of the insurance companies. We are the experts in injury law and we do understand the insurance companies. We know how to fight the system. We know how to fight for you. We have represented thousands of injury cases over the past 40 years. We can represent your case and win your case. "We'll Make Things Right". Don't hesitate and miss the Statute of Limitations for your specific injury case. Call the Eshelman Legal Group and get the facts. We have been helping injured people for over 40 years. "We'll Make Things Right"
Before you talk to any insurance adjuster, CALL "The Eshelman Legal Group"...Without legal representation, you could settle your claim too cheaply or make statements to the adjuster that could defeat your case. We’ll make things right when you’ve been injured as a result of another's negligence. We have been protecting the rights of injured people for over 40 years. The attorneys at the Eshelman Legal Group will help fight for you, and make sure you are financially compensated. If you live in Ohio and feel you are a victim of a serious personal injury, then call the Eshelman Legal Group to set up your free initial consultation. Your initial consultation is free. You do not pay unless we win your case. Remember, there are time restraints in regards to your potential case. If you wait to long you may forfeit your legal rights to regain what you have suffered and lost because of this type of litigation. 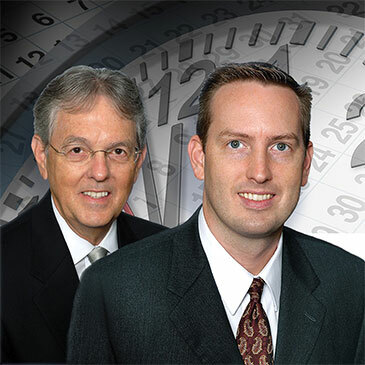 The Eshelman Legal Group has been helping clients in northeastern Ohio for over 40 years. Our experience is in personal injury, the Eshelman Legal Group understands this area of law thoroughly.